plaque on the lighthouse itself), several visitors each year are swept off the rocks by waves, sometimes drowning. to white light, then to a green light in the late 1970s. Finally to conform to world standards the light was changed to red in 2007.
a group willing to look after it, or the lighthouse will face disposal. The province of Nova Scotia has discussed taking ownership but has not made a decision. To claim this virtual, just have your picture taken in front of the lighthouse. The classic red-and-white lighthouse is still operated by the Canadian Coast Guard, and is situated on an extensive granite outcrop at Peggys Point, immediately south of the village and its cove. This lighthouse is one of the most-photographed structures in Atlantic Canada and one of the most recognizable lighthouses in the world. The first lighthouse at Peggys Cove was built in 1868 and was a wooden house with a beacon on the roof. At sundown the keeper lit a kerosene oil lamp magnified by a catoptric reflector (a silver-plated mirror) creating the red beacon light marking the eastern entrance to St. Margarets Bay. That lighthouse was replaced by the current structure, an octagonal lighthouse which was built in 1914. It is made of reinforced concrete but retains the eight-sided shape of earlier generations of wooden light towers. It stands almost 15 metres (49 ft) high. The old wooden lighthouse became the keeper’s dwelling and remained near to the current lighthouse until it was damaged by Hurricane Edna in 1954 and was removed. The lighthouse was automated in 1958. Since then, the red light was changed to white light, then to a green light in the late 1970s. Finally to conform to world standards the light was changed to red in 2007. The lighthouse used to contain a small Canada Post office in the lower level during the summer months serving as the village post office where visitors could send postcards and letters. Each piece of mail received a special cancellation mark in the shape of the lighthouse. However Canada Post closed the lighthouse post office in November 2009 citing mold growth as a safety hazard. The lighthouse at Peggys Cove was declared surplus by the Canadian Coast Guard in June 2010, along with almost all lighthouses in Canada. The lighthouse has until May 29, 2012 to be nominated under the Heritage Lighthouse Protection Act by a group willing to look after it, or the lighthouse will face disposal. The province of Nova Scotia has discussed taking ownership but has not made a decision. 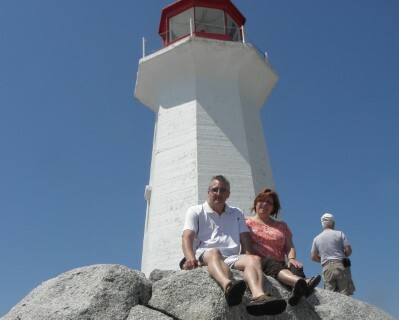 Visited Peggy's Cove and the famous lighthouse. Awesome place. Very first time logging a find on Open Caching. I had heard of it before, but never paid attention to it. 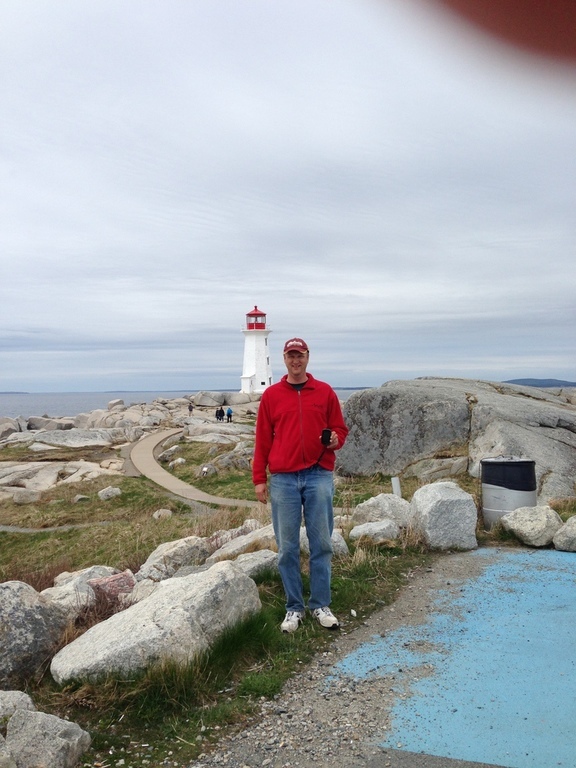 Visited Peggy's Cove while on a Eastern Maritimes family trip. Enjoyed this iconic view. Will post some more virtual finds and maybe place some physical caches.